The apartment is located in the famous 'Promenade des Anglais' street very close to the Hotel Negresco. 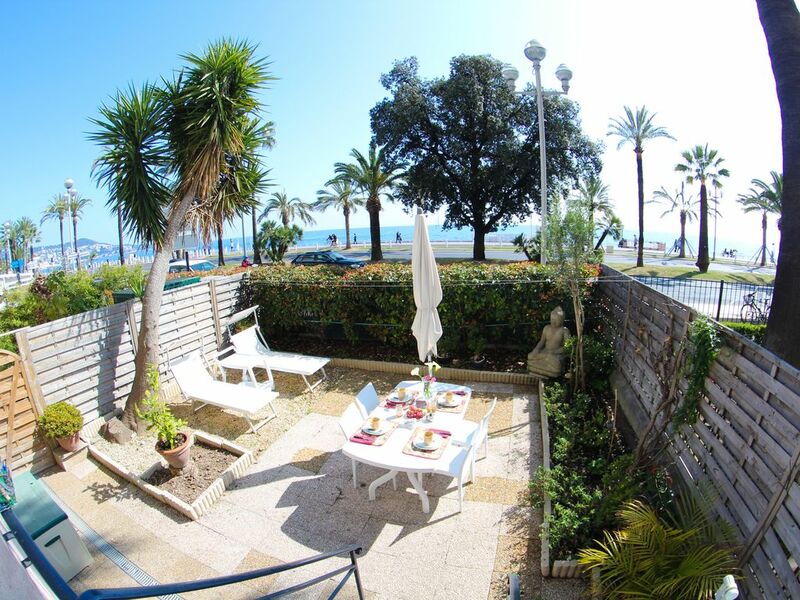 Count with a nice PRIVATE garden and it is just a few meters from the beach. This apartment consists of a beautiful entrance hall, a spacious bedroom-living room with double bed and an insulated sofa with two beautiful black-red curtains, a bedroom with orthopedic mattress and sea view, a large kitchen with sea view and direct exit to the garden. modern bathroom with shower and bidet, office area. The building is in Art / Deco style in the heart of Nice. The spacious kitchen is fully equipped with everything for your comfort. The apartment is facing the sea and there are plenty of tourist attractions nearby such as casinos, museums, restaurants, clubs and nightclubs. The historic Hotel Negresco is just 100 meters away. Periodo minimo: 3 notti (€150/night) Natale, Capodanno e Carnevale vengono considerati mid or high season Deposito cauzionale di €300 Possibilità di sconti per soggiorni lunghi. È richiesto un deposito cauzionale che verrà restituito integralmente a fine locazione se non si saranno verificati danni alle strutture.